The Sweet Life | Sugarfina Comes To Dallas! I was first introduced to Sugarfina, a candy shop of luxury candies for adults, on Instagram by other bloggers who would incorporate their cute little sweets in posts as "props". They had gummy pineapples (Parisian Pineapples), sugary lips (Sugar Lips), champagne bears (Champagne Bears), a variety of chocolates...you name it! I needed these in my life, so I got to Googling. The first time I tried Sugarfina for myself was from their shop-in-store at The Market in Highland Park Village, but I wished we had a full boutique...and NOW my wish has been granted. 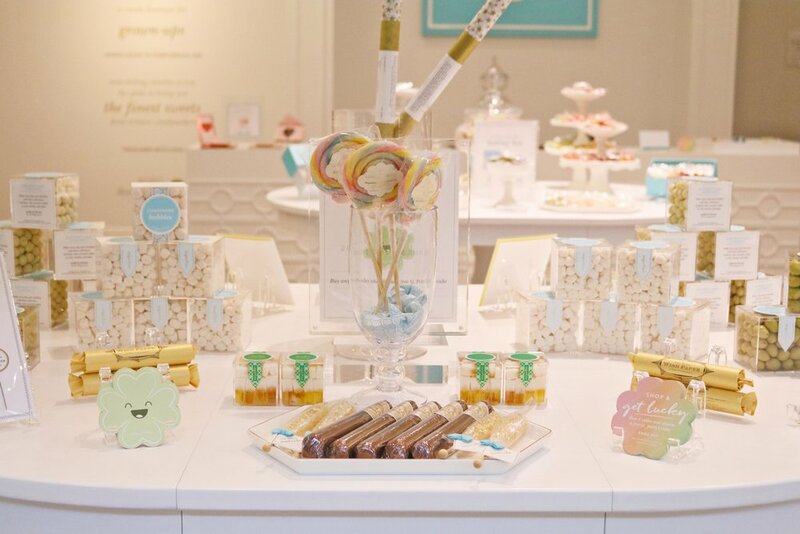 Sugarfina has brought their full sweet experience to Dallas with a new boutique location at NorthPark Center! There are always cute little gifts for special holidays! The St. Patrick's Day-themed candy and gifts were out during my visit which included cute little chocolate cigars, 24K Gold Swizzle Sticks, and Pale Ale Pints. The wall of acrylic boxed luxury candies can be a little overwhelming for the first time, but there's a candy for everyone! Sugar Lips is a customer favorite that I've seen all over Instagram! A little sweet, a little sour, and very fruity with natural flavors of watermelon, strawberry, and bubble gum. Some of the boxed candies for special events and occasions have cute, thoughtful little messages on them! With the small boxes, you can create your own bento box of 3, 4, and 8 small boxed candies. If you want to try some of the Sugarfina favorites first, there is a table of tasting packets to purchase or create a box with. This is perfect for first-timers or those who like more of a variety. 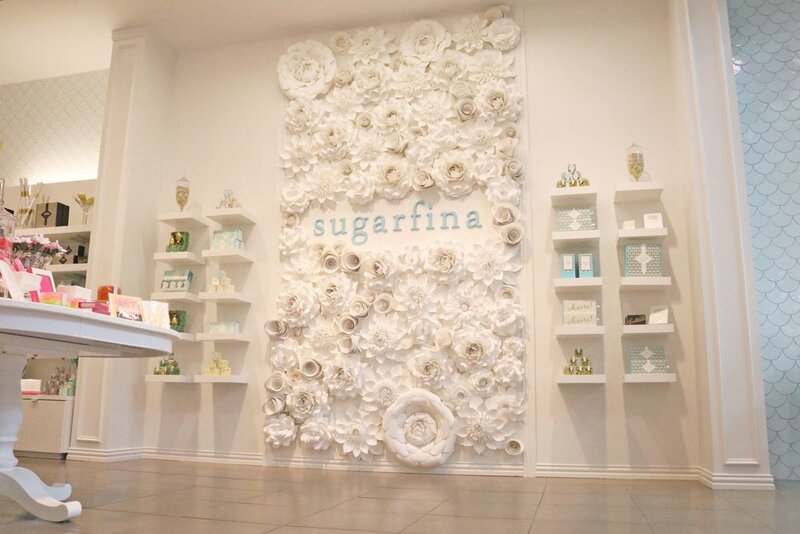 Beautiful Sugarfina floral mural makes the perfect Instagram photo! A closer look at the Sugarfina tasting packets. Peering though the window at the candy like a little kid. It makes you literally want everything! Doesn't it look like a dream? Come out and experience the sweet life of Sugarfina with me on March 23rd. Sample some of my favorite and best-selling candies, sip on champagne and sparkling water, mix & mingle, and let the candy connoisseurs help you pick out the perfect confections to indulge in!